Orcas Eye Necklace by Gail Glass. 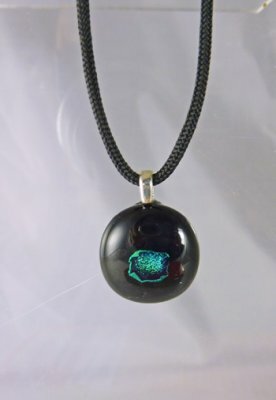 This fused glass pendant has one color outside and another iridescent color inside. The pendant is about 3/4" across and comes on a black 15" cord with screw closure. Sterling findings.